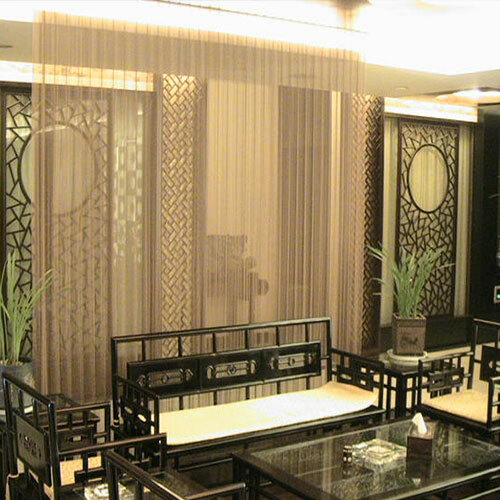 Decorative Curtain Mesh - Buy Decorative Curtain Mesh Product on Anping County Xinhai Traffic Wire Mesh Manufacture Co.,Ltd. stainless steel wire304,304L,306,306L.super quality stainless steel,aluminum alloy, brass, copper or other alloy materials,or can according to the requirements of customers. Stainless steel decorative wire mesh in different sizes, designs and finishes,.Mainly used in Landscape Architecure, Interior Space, Facade, Top Ceilling, Background and Partition decoration of hotels, offices, exhibition halls and restaurants. Adding a feature of modern constructions. Original metallic color, or spray chart into bronze, ebony black, purplish red, also be made scrubs, laser and other effects. 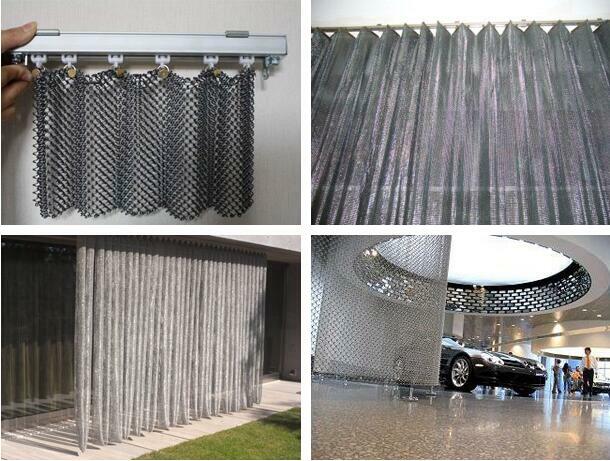 The coil mesh is an ideal indoor decorative material for hotel and exhibition halls, also for your lovely home. It is widely used for curtains, partitions, ceiling, and wall decorations. With spotlights, she can give your room with magnificent effect.